Ethiopia Healthcare Network abides by straightforward guiding principles, most of which we’ve garnered from experience. Patient Respect and Confidentiality. While patient’s needs and medical conditions are compelling, we do not publish personally identifiable patient medical data. Seek Efficiency and Least Cost/Highest Benefit. EHN energetically seeks to obtain the highest value in terms of patient benefit received for its charitable investments. The more people without access to healthcare we can heal, reduce suffering, or improve condition, for the resource invested, the better. Local Resource Enablement, Empowerment and Measurement. It’s not our job to run healthcare projects; our job is to enable Ethiopians to run healthcare projects to serve those without access. We measure results and, where possible, work to increase impact. Where things aren’t working, we try to solve the problem or find a better path. Partner and Collaborate. 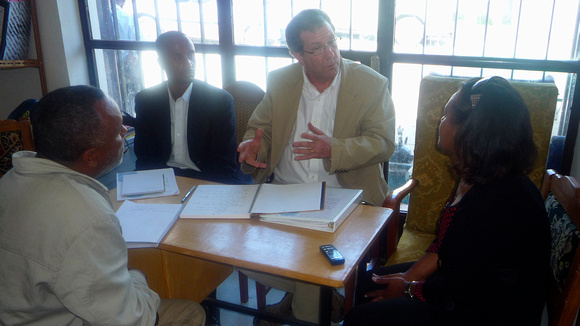 There are similar or complementary programs for healthcare in Ethiopia. Where possible and productive, EHN and its in-country representatives work to partner with these resources, where partnerships demonstrate “win-win” value, fidelity to EHN’s mission, and/or improved efficiency.